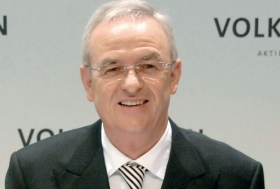 Volkswagen AG CEO Martin Winterkorn was too busy with VW-Porsche merger talks to attend a ceremony today at the automaker's new U.S. plant, a newspaper reported. “This is a momentous time for the company,” a VW spokeswoman told the Chattanooga Times Free Press when explaining why Winterkorn was not traveling to Chattanooga, Tenn., for the event. Tennessee Gov. Phil Bredesen and VW production chief Jochem Heizmann attended a wall-building ceremony at the plant.